From Leland Michigan, the Janice Sue is often referred to as “Fishtown’s iconic fishing tug.” Indeed she is! With the exception of the years 2003-2009, she has continued Leland’s proud commercial fishing legacy. 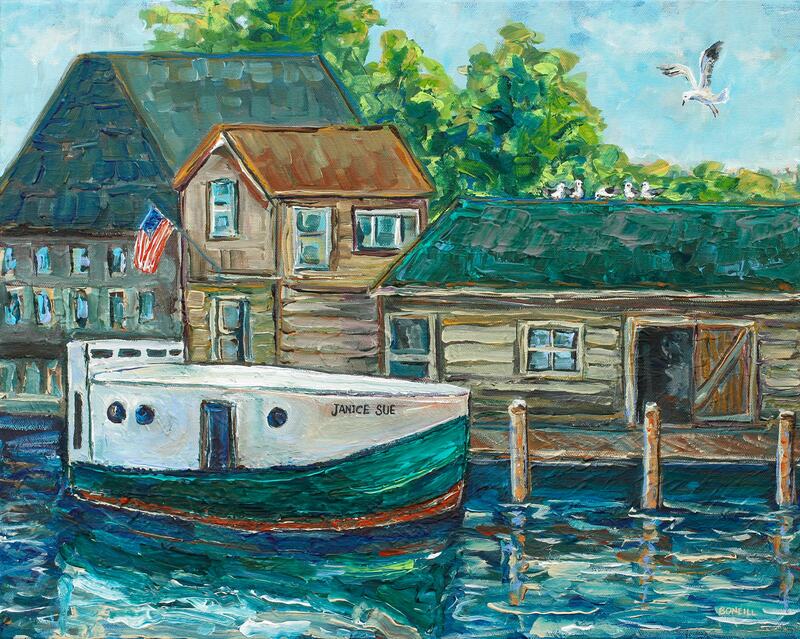 Inspired by a summer road trip to Historic Fishtown in Leland Michigan, I felt as if I was taken back in time! The sights, smells, and slow pace of this quaint town made such a great impression that I can't wait to go back!